Dark chocolate is chocolate without milk solids added. Dark chocolate has a more pronounced chocolate taste than milk chocolate, because it does not contain milk solids to compete with the chocolate taste. However, the lack of milk additives also means that dark chocolate is more prone to a dry, chalky texture and a bitter aftertaste. 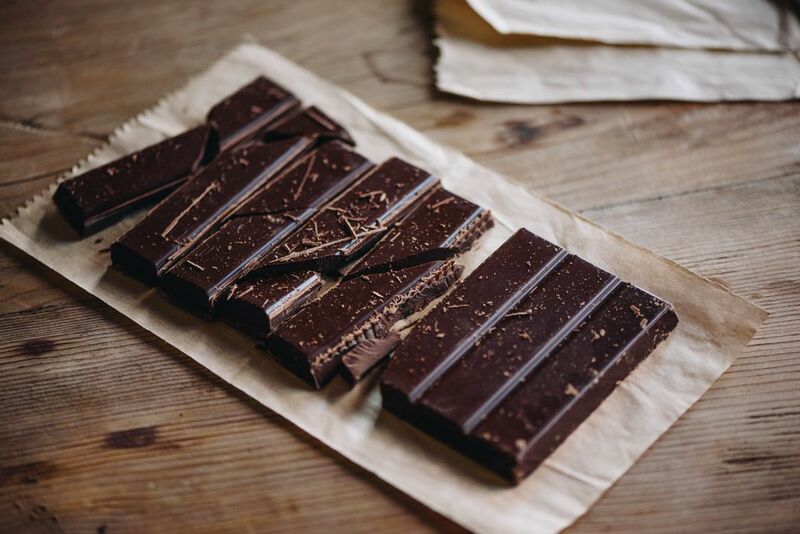 The basic ingredients in dark chocolate bars are cacao beans, sugar, an emulsifier such as soy lecithin to preserve texture, and flavorings such as vanilla. Dark chocolate is often distinguished by the percentage of cocoa solids in the bar. The cocoa content of commercial dark chocolate bars can range from 30% (sweet dark) to 70%, 75%, or even above 80% for extremely dark bars. Common terms used to distinguish the cocoa content of dark chocolate bars include bittersweet, semi-sweet, and sweet dark chocolate.